SMILE is a novel technique where just one laser is required, the Zeiss Visumax. Based on the prescription of the patient, the laser will create a microscopic “lenticule” (disc of tissue) inside the intact cornea. 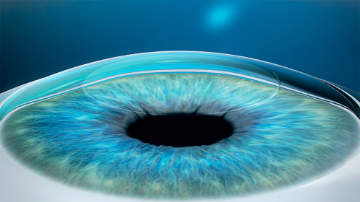 The world of laser corrective eye surgery has taken another step forward. First generation laser surgery was called PRK (photorefractive keratectomy) and is still in use today, comprising 10 to 20 percent of laser corrective eye surgery in the United States. In this technique, the surface covering of the cornea (epithelium) is removed and the laser is applied directly to the surface of the cornea. This is a very safe technique but requires longer healing. Patients wear a bandage contact lens for five to six days and nights and then go through a three- to four-week visual recovery. This technique is still preferred in cases of thin corneas, irregular corneas, and some higher prescriptions. 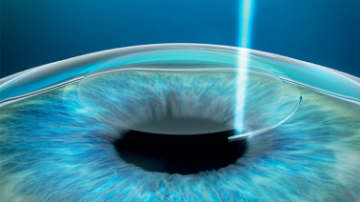 Second generation laser surgery is called LASIK (laser in situ keratomiluesis). This is the most common form of laser vision correction. It involves two steps to correct vision. First, a corneal flap is made at the surface of the cornea using a laser (all-laser LASIK, intraLASIK) or a microkeratome (razor blade). Second, the flap is rotated back and the second laser (excimer laser) is then used on the exposed undersurface. Finally, the flap is rotated back down into position. This allows for dramatic, rapid visual recovery. SMILE is a novel technique where just one laser is required, the Zeiss Visumax. Based on the prescription of the patient, the laser will create a microscopic “lenticule” (disc of tissue) inside the intact cornea. The lenticule is then extracted through a small opening. One of the main advantages is that SMILE is not performed under a flap or at the surface, allowing for a quick recovery. This will potentially reduce dry eye symptoms which can be seen in some LASIK patients. Those who may not have been LASIK or PRK candidates in the past could potentially benefit from this new technique. Hoopes Vision was the first center in Utah to use the SMILE technique. 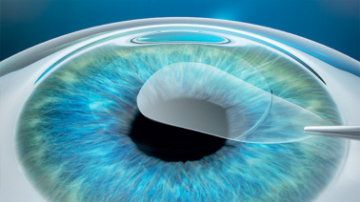 In preparation for this exciting surgical procedure, the surgeons at Hoopes Vision had already performed hundreds of LASIK flap surgeries with the Zeiss Visumax. Hoopes Vision has used femtosecond laser technology for the past 14 years and performs more femtosecond laser surgery than all other Utah surgical practices. A microscopic “lenticule” (disc of tissue) is created inside the intact cornea. The lenticule is extracted through a small opening. 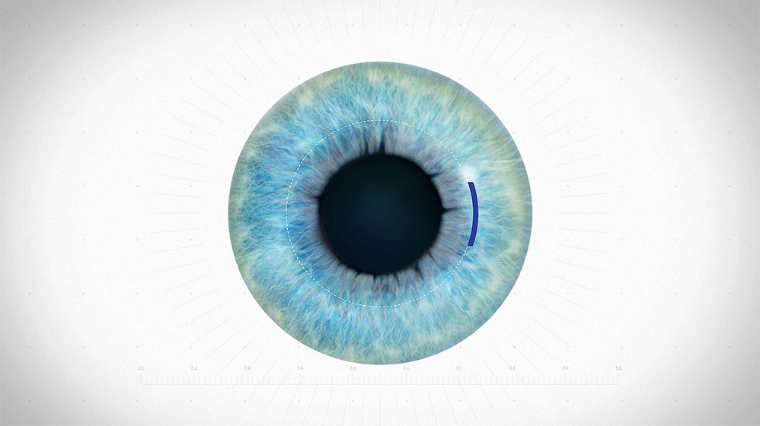 Removing the lenticule changes the shape of the cornea, thereby achieving a refractive correction. I am so grateful I had PRK, and got the results I did. It was one less thing I had to worry about in my fight and it made a world of difference! I'm very proud and ecstatic to say that getting the KAMRA implant procedure done was one of the smartest decisions I've ever made. Someone once said, "Father time is undefeated." That might be true, but I can definitely see him coming a whole lot better now! Thank you Hoopes Vision!" Reading glasses are gone and worrying about my vision is a thing of the past! Thank you Hoopes Vision!